We are open for summer business! Come try out our breakfast menu. For lunch, we have Daily Chef Specials and flatbreads! 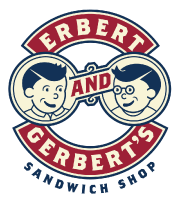 In addition we will have our entire Erbert and Gerbert’s menu available including soup and salad bar. We also have many grab-n-go food items that we make daily. Now Hiring! Interested in working on Western's La Crosse campus in a professional food service position? Apply now! Open to the public! The Union Market is located on the La Crosse main campus, first floor of the Kumm Center. With plenty of comfortable seating, it's a great place to enjoy a quick bite or gather with classmates and study. Students can use Market Money and set up a pre-paid debit account on your Western ID. Follow us on Facebook for daily specials, coupons, and other announcements. Add us on Snapchat! Scan the Snapcode below and look for Snapchat exclusive coupons to screenshot, specials, and more! The popular chain sandwich shop offers a variety of hot and cold sandwiches, and several varieties of soup served daily! Visit Hub's for a variety of delicious, hot food, including breakfast classics, burgers, grilled sandwiches, chicken tenders, fries, and cheese curds. The hotspot fo the Union Market features "create-your-own stir fry," using a variety of vegetables, meats, sauces, and spices to create your own meal. You'll choose it; we'll cook it. Choose one of our many unique, build-your-own burritos, nachos, or taco salads, made with fresh ingredients. Handmade pizza is prepared and cooked in front of you. Choose it by-the-slice or take a whole pizza to go. Specialty pizzas are sure to catch your attention. A variety of chef-made soups, a build-your-own salad bar with a variety of fresh produce, and ready-made cold sandwiches, salads, desserts, and beverages for those on the go. The Union Market has a variety of vegetarian friendly menu options available. View our vegetarian menu below. Hub's Monday-Thursday 7:00 a.m.-7:00 p.m. 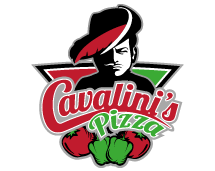 Chops Monday-Friday 10:30 a.m.-1:30 p.m.
7th Street Burritos Monday-Thursday 10:30 a.m.-7:00 p.m.
Cavalini's Pizza Monday-Friday 10:30 a.m.-1:30 p.m.
8:00 a.m.-1:30 p.m. Monday-Thursday 7:00 a.m.-7:00 p.m.
10:30 a.m.-1:30 p.m. Monday–Thursday 10:30 a.m.-7:00 p.m.
Got something on your mind or a suggestion on how we can do better? Let us know! Email unionmarket@westerntc.edu.